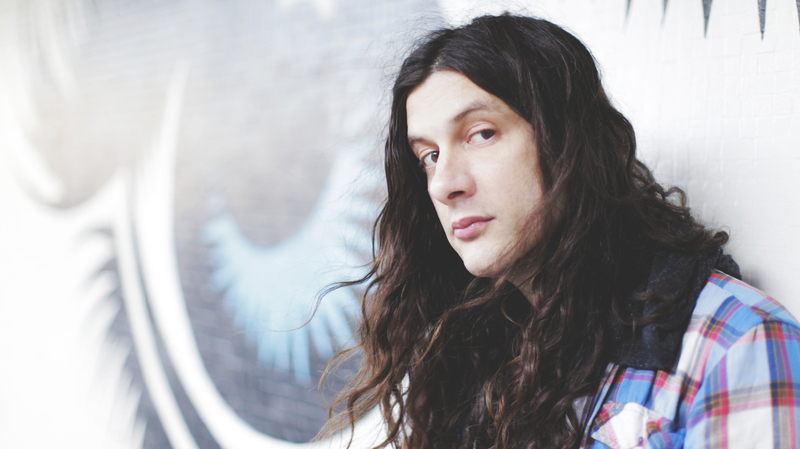 Kurt Vile On World Cafe : World Cafe There are few people who can spin a tale like Kurt and it shows on his latest record. Hear a live studio performance of songs from Bottle It In. Kurt Vile's song "Loading Zones" is in my head. It's a song about Kurt's adventures driving around Philadelphia. In particular, I've been thinking the last few minutes, wherein he repeats this line over and over: "I park for free. "I parked for free. Until I didn't. On the day of this conversation, my car was sitting in an impound lot, courtesy of the Philadelphia Parking Authority. So, it was one of the many things I needed to talk to Kurt about. But the most important topic was Kurt's latest album, Bottle It In. It's an album recorded over the course of a few years on the road, including while he was touring with Courtney Barnett for their collaboration, Lotta Sea Lice. There are few people who can spin a tale like Kurt, and it shows on this new record. It's as if he dreamed up these lyrics on the spot. He's indie's great freestyle master. It's evident on the gargantuan, sprawling and epic tale, "Bassackwards." We start this session with a live version of that song and more. Hear it in the player.